Issue clear, complete and professional invoices in seconds. Print a hard copy of your invoices to send them by post or send them by email. Create credit notes and manage reimbursements. 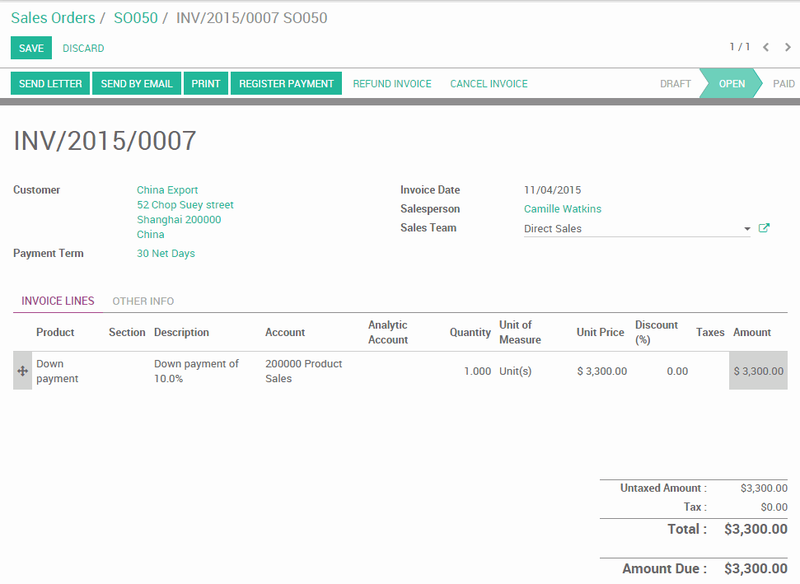 Record supplier invoices in the system to manage payments and integrate them into accounting. Set the frequency of invoicing for products in accordance with contract specifications. Use Incoterms® standards to make sure you have the right terms on your contracts. 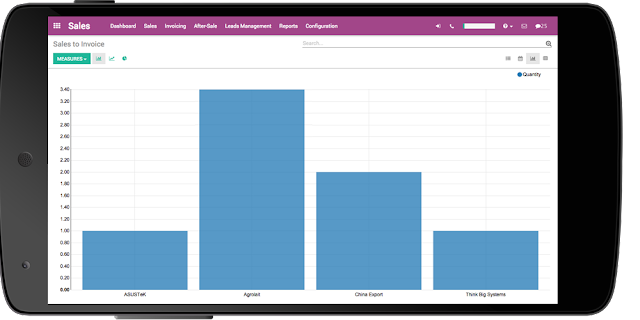 Get a broad view on all invoices and filter them by status. Automatically link payments to your bank accounts with existing invoices by importing your bank statements into the system. Synchronization with 24000 banks mostly in US, Australia and New-Zealand. Importation of files in format: OFX, QIF, CSV, CODA. Allow customers to pay in their currency with an automatic currency converter and record gains and losses for each conversion. Send your invoices by email and add a link to Authorize, Paypal, Ingenico, Buckaroo or Adyen to get paid quickly, easily and securely. 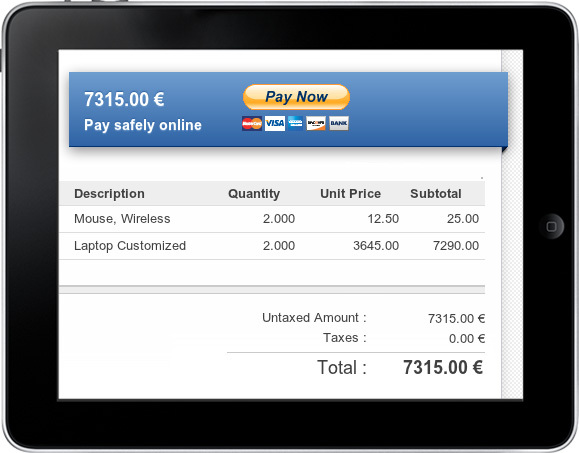 Create steps and automated actions to be taken by the system in case of a payment issue. Get complete reports for journals, legal statements, chart of accounts, etc. Set up your tax rules to automatically calculate them in your invoice, and define where roundings occur to get accurate reports. Keep track of all the time and materials to be invoiced for each client. 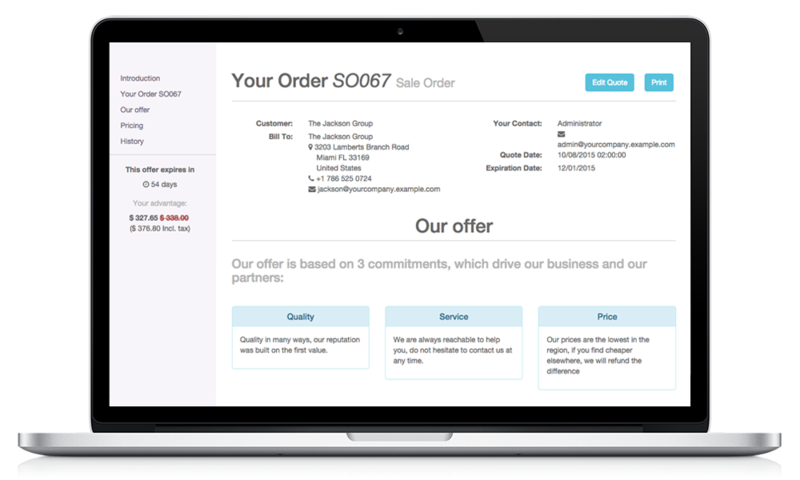 Record invoices from and to your suppliers and manage stock linked to orders placed by customers. Invoice timesheets recorded within your projects.